February 27, 2018  Hoboken's homegrown indie-rock heroes offer a poultice for the soul from their atmospheric new album. February 27, 2018  This week's essential new mix includes breezy, country pop from Kacey Musgraves, cathartic rock from Editors and Parquet Courts, one of Yo La Tengo's most unusual recordings and more. January 18, 2018  The band embraces its experimental impulses in a sampler of new songs, from the endless chill of "You Are Here" to the bouncing Pet Sounds reverie of "Shades Of Blue." September 7, 2006  New music from TV On the Radio; The beautifully sad return of Sparklehorse; A debut from Brooklyn's Dirty on Purpose; Inspired jazz trumpeter Steven Bernstein and more. October 1, 2015  The beloved indie-rock band plays songs from Stuff Like That There, recorded live in Philadelphia. August 25, 2015  The New Jersey band's members say their longevity comes from not projecting ideas onto themselves. 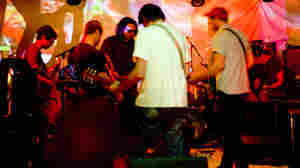 Their new album, Stuff Like That There, features covers and reworked songs. 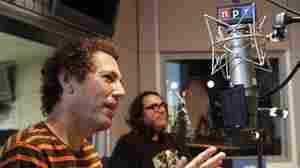 August 25, 2015  "This morning thing's not really working for me," says guitarist/vocalist Ira Kaplan. Well, too bad. 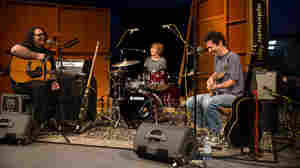 Yo La Tengo played the music you hear between stories live. 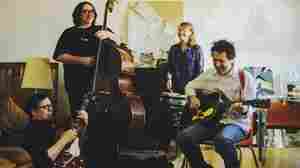 August 19, 2015  Amid two invigorating new songs and three fresh renditions of Yo La Tengo classics, nine wide-ranging covers are performed with varying degrees of sweetness, sadness, silliness and joy. July 14, 2015  And we thought a new album of cover songs by the band was good news. 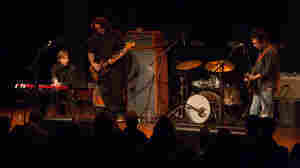 April 15, 2013  Yo La Tengo's sound has evolved quite a bit since Georgia Hubley and Ira Kaplan first jammed together in 1984; the feedback has subsided, replaced by a more contemplative vibe. May 22, 2013  Ira Kaplan, Georgia Hubley and James McNew visit the Morning Becomes Eclectic studios to perform songs from their most recent album, Fade. Watch the venerable indie-rock trio play "Two Trains." 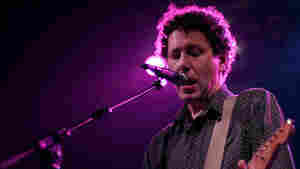 January 12, 2013  The pride of Hoboken, N.J., performs a six-song set at World Cafe Live in advance of Fade. 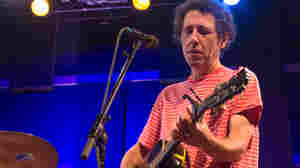 After five new songs, Yo La Tengo's show concludes with a great cover of The Spinners' "I'll Be Around." 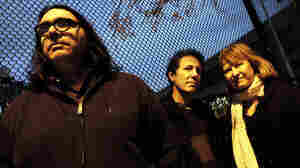 March 18, 2013  Hear the indie-rock trio play songs from the new Fade and discuss its biography, Big Day Coming. February 26, 2013  Ira Kaplan, Georgia Hubley and James McNew have been making wonderful music together for more than 20 years. 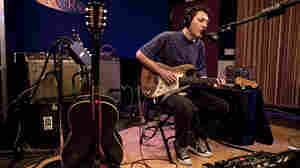 They performed some of the best songs from their new album, Fade, live on KEXP. 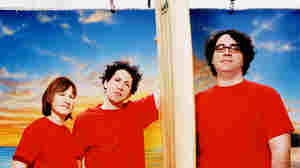 September 1, 2009  One of America's most influential and captivating rock bands, Hoboken, N.J.'s Yo La Tengo celebrates its 25th anniversary with the release of Popular Songs, which continues the trio's tradition of balancing soft acoustic pop with dark, enthralling rock. Hear the album in its entirety here, for the week prior to its release on Sept. 8.